The Curtis Sluder Law Firm. We have saved drivers millions in potential insurance increases since 1998. Don’t pay your ticket until you speak to us. We represent clients in Columbus, Saluda, Tryon, Mill Spring, Green River, Lake Adger. Aggressive Criminal defense, fighting for your rights. We fight for the best possible outcome at every juncture in your DWI case, leaving no stone unturned. Polk County is in the 29-B Judicial District of North Carolina. The 29-B District encompasses Henderson, Transylvania, and Polk counties. This is a large district, but we deal with the same group of judges and district attorneys in each county on a regular basis. The Clerk of Superior Court is Pamela (Pam) Green Hyder. A visit in the office of the clerk, or a trip to the courtroom you might also meet Jamie, Sheila, Linda, Linda, Or Bob. The court personnel, Clerks of Court, and other officials in the district can be very helpful and informative, but they cannot give legal advice. If you have questions for them, please be nice, and they will be nice back to you, and as helpful as they are allowed to be. If you have specific legal questions, however, you will have to speak to an attorney. The elected District Attorney, Greg Newman, was appointed by the Governor a few years ago when former District Attorney Jeff Hunt was selected as a Special Superior Court judge, and then was easily re-elected at the last election. I met Greg when I first started practicing in Hendersonville in the 90’s, and have been very pleased to see him taking the reigns in district 29-B. He has demonstrated to me his ability to be a fair and reasonable District Attorney-and that is the highest accolade any District Attorney can receive from a defense attorney! In my experience he has been able to maintain a balance between protecting the citizens in the district by prosecuting crime, and has followed the District Attorney’s oath to “do justice”. I have enjoyed working with him on cases over the last few years and look forward to working with him and his assistants in future years. Criminal court in Polk County may be held on any day of the week, but district court criminal cases are generally calendared on certain days. 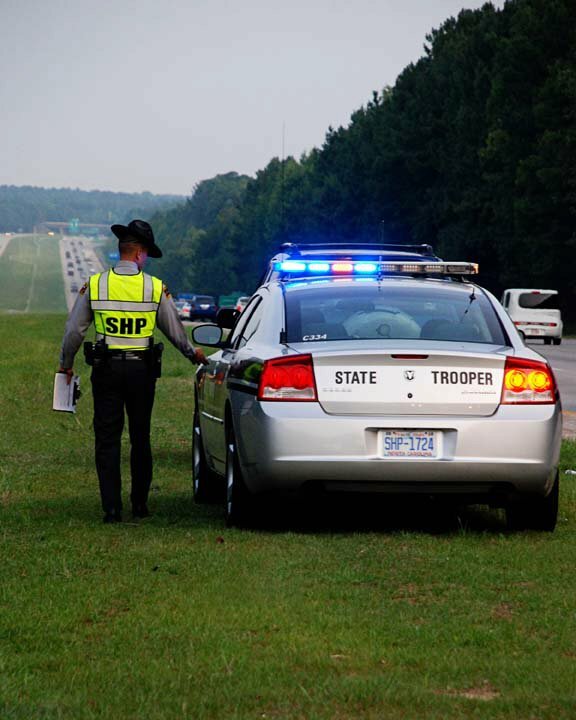 Wednesday, and one Monday each month, are usually reserved for officer court dates- Highway Patrol, Columbus Police, Tryon Police, Saluda Police, Wildlife Officers, and Polk County Sheriff Deputies all schedule certain days that they are expected to be in court to discuss and be available for the cases they are involved in. They can often be called in or subpoenaed for other days, as well. In addition to cases originated by law enforcement officers, civilian witness cases such as injury to personal property, assault, assault on a female, domestic trespass, and similar cases sworn out in front of a magistrate are also heard. Occasionally, on these Monday and Wednesday court dates, felony matters that are still in district court, pending probable cause hearings or first appearances are also heard. One Monday and one Thursday each month are reserved for minor traffic court. There are usually several hundred cases on these days, and individuals who represent themselves can come expecting to spend quite a while in line waiting to hopefully handle their cases. We plan to spend our whole day, or as much as needed, handling traffic cases on these days. The Curtis Sluder Law Firm frequently handles cases in all three counties of District 29-B- Transylvania, Henderson, and Polk counties. Some of the cases we regularly represent defendants on are traffic and criminal matters, such as speeding, reckless driving, DWI, and driving on revoked licenses. We also represent many defendants on other felony and misdemeanor offenses, such as drug charges, probation violations, expunction, assaults, weapons charges, and related criminal offenses. The Curtis Sluder Law Firm has focused on traffic defense and criminal law in Polk County for more than 15 years, and was the first law firm in Western North Carolina to have a dedicated traffic practice. We has defended tens of thousands of cases involving criminal offenses, traffic charges, and other infractions occurring in Columbus, Tryon, Mill Spring, Saluda and all of Polk County since 1998. Contact us to discuss your case. We offer free initial consultation by telephone, and would be happy to arrange an in person consultation as well. Please call us to see how we can help protect your interests and defend your rights. Even though I expect the district attorneys office in Polk County to be fair and reasonable, the very political nature of DWI makes it a difficult charge to defend. DWI in North Carolina does not get “pleabargained” to lesser offenses. North Carolina Law requires the district attorney to prepare a lengthy written explanation for any change to, or dismissal of, any “implied consent” (alcohol- related) charge. This long written form is then filed as a public document that the “courtwatchers” have access to and keep tabs on. Of course, this means that as a practical matter no elected official is going to make any modification or dismissal of a DWI charge except in the most rare circumstance. 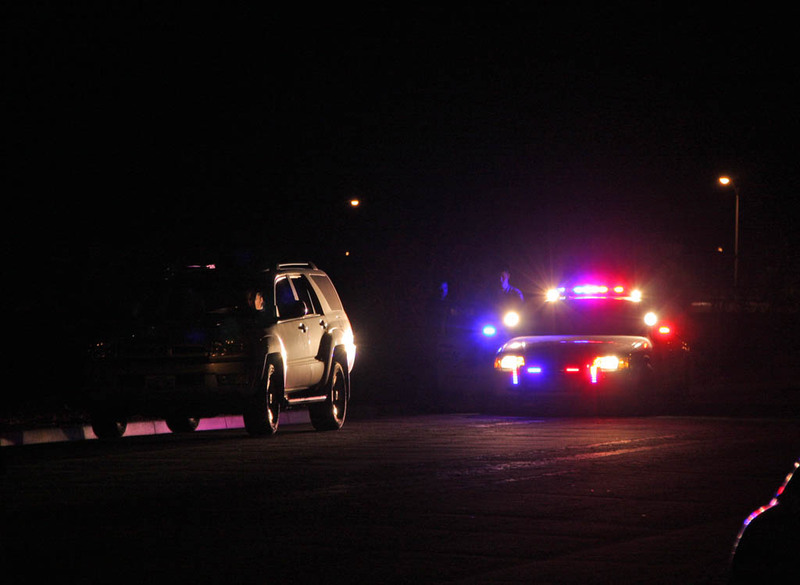 Therefore, when you are charged with a DWI, you can expect that the case is going to proceed “as charged”. You will either be found guilty, or not guilty, of what you are charged with. Traffic cases in Polk County are usually scheduled for one Monday and one Thursday each month, or on the Wednesday sessions of Criminal District Court. We represent most traffic cases by written waiver, which means we inform you of the likely options for your case, possible outcomes, our plan of action in your case, and you allow us to go to court on your behalf, meaning you do not need to take a day off work in order to attend court to handle your traffic cases. 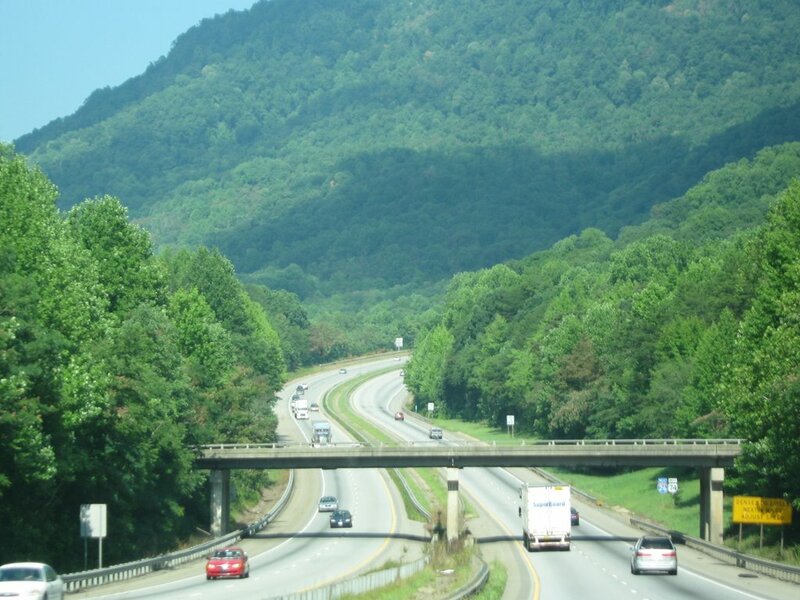 This is especially important for persons who were ticketed while passing through western North Carolina, as well as residents with other obligations. Rest assured that your presence is not necessary, though, and if things do not go as we planned in court, we will continue the case and contact you about any new developments that may have arisen. Representation in traffic matters usually incurs a fee from as little as $100, and we typically save you far more than that by preventing possible insurance increases. 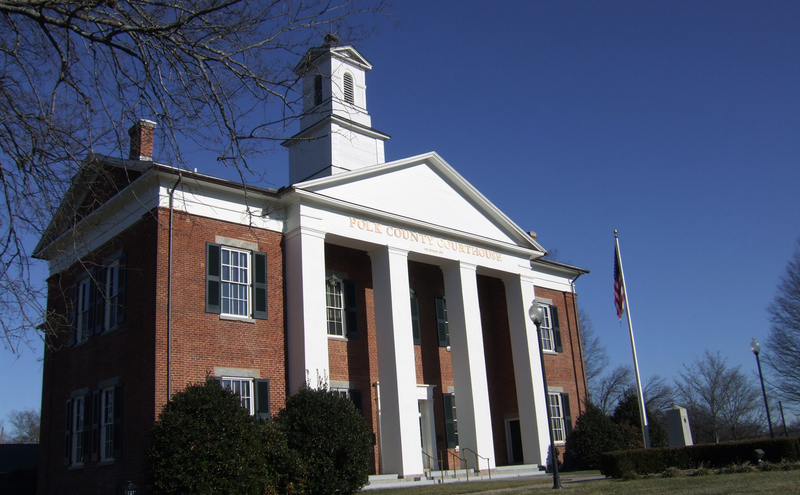 Typically, misdemeanor criminal cases in Polk County are handled on the second floor of the Polk County Courthouse, located at 1 Courthouse Square, Columbus NC. Court days can be any date, but usually Wednesday morning at 9:00 am criminal district court is held. Be sure to double check the date you are to arrive, and make sure you are there 5 or 10 minutes early so you are not missed at calendar call. The District Attorney is usually unable to speak with unrepresented defendants until some time after the calendar call, so without a lawyer, you should expect to spend some time in court. Superior court weeks vary throughout the year, and there are several sessions of Superior Court, though there is not a session of Superior court every week. A district court criminal charge can be initiated by an arrest or by a citation. If the defendant is arrested, he is taken before the magistrate to have bond and other conditions of release set. Often, an unsecured bond or a small secured bond is set for misdemeanants. The defendant is given a court date if released on bond. If the defendant is taken into custody and cannot make bond, then they will be taken before a District Court Judge within a few days in order to appoint counsel or to schedule a bond hearing. Once this is done, they are given a new court date and afforded an opportunity to speak with a lawyer (who will often make a bond motion to reduce or unsecure the bond, so that the defendant can be released and better assist in defending their case. Once the court date arrives, the defendants lawyer may further investigate the case beyond what he was able to do prior to the court date, negotiate with the District Attorney, point out weaknesses in the states case, and try to arrive at an agreeable plea bargain. If no acceptable plea bargain can be had, then the case may be called for trial.